If you have valuable fine art or antiques that need to be transported during your move, then you need the premier New Jersey fine art moving company on your side! Our New Jersey antique movers are certified ProMovers through the American Moving & Storage Association and have the skills and experience to handle relocations of any size. As proud agents of Atlas Van Lines and an award-winning member of the New Jersey Warehousemen & Movers Association, we are committed to professionalism in the industry. Through our affiliation with Atlas, our New Jersey antique moving company is connected to a global network of moving and storage resources that are capable of handling all of your specialized moving needs! Our New Jersey fine art moving company has been the most trusted name in specialized residential relocations for over 70 years. With a commitment to quality and customer service, we guarantee that our New Jersey antique movers will exceed your expectations by providing a seamless moving experience. 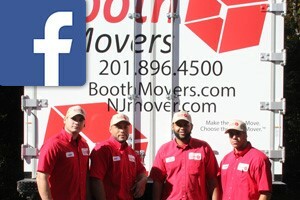 Booth Movers offers free, in-home estimates from one of our professional New Jersey fine art movers in order to help you determine your specialized moving costs. From there, our relocation experts will guide you through each step of the process and answer all of your questions about our fine art and antique moving services. Residential Movers – Regardless of the size or scope of your relocation project, Booth Movers will work tirelessly to ensure a stress-free process! Local Moving – When it comes to Bergen County relocations, nobody knows the area better than our experienced New Jersey fine art movers! Long Distance Moving – Booth Movers will handle all the details of your long-distance move to help ease the stress of your life transition. Interstate Moving – Moving to a new state can be overwhelming, but with our New Jersey antique moving company, it is guaranteed to be a seamless process. Full Service Moving – Our professional New Jersey antique movers are highly trained in all areas of a full-service moving. International Moving – From packing and crating to customs clearance, there is no better choice than Booth Movers to manage your international relocation. To find out more about the premier choice in Bergen County fine art and antique moving services, give Booth Movers a call today! You can also fill out our online form to request your free, no-obligation estimate!